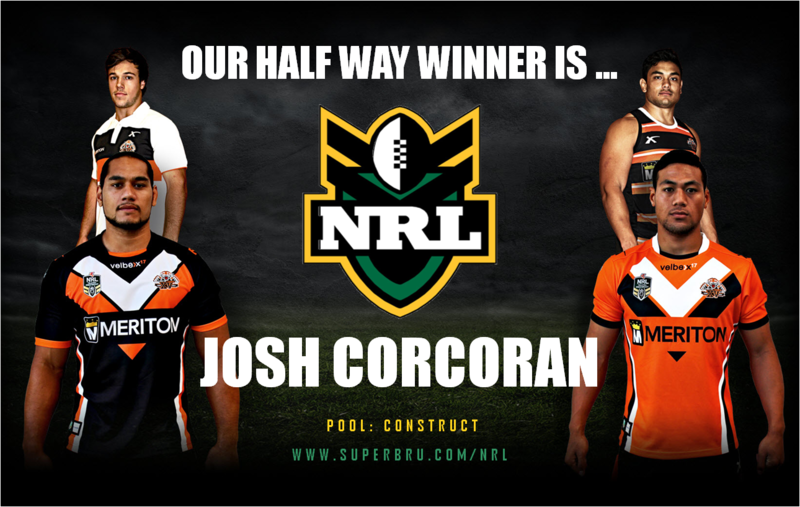 After an extremely close round 13, Construct are happy to announce our half way NRL winner is... Josh Corcoran a.k.a. J. Co who just beat second place Samwise on tie-break rules! Congratulation Josh, enjoy wearing that West Tigers jersey and for the rest of you... keep playing! We'll be giving away another NRL jersey at the end of the tournament.